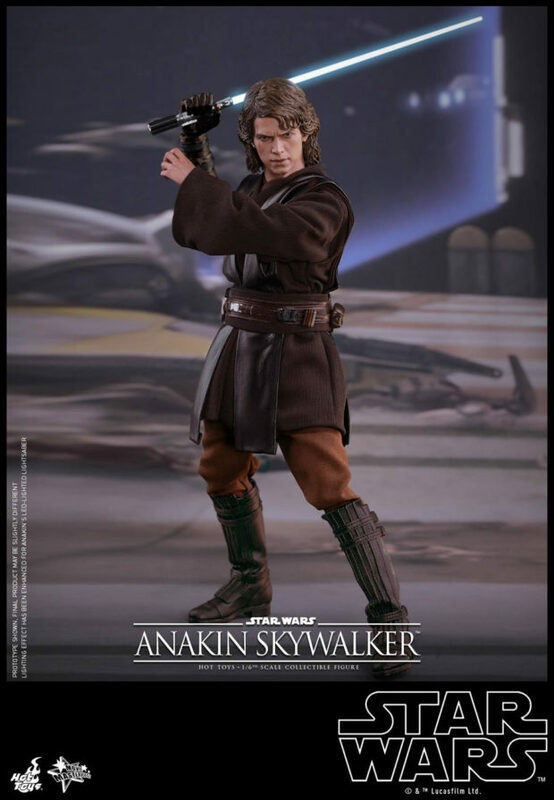 Hot Toys has been unleashing haymakers recently, and this action figure is no different. 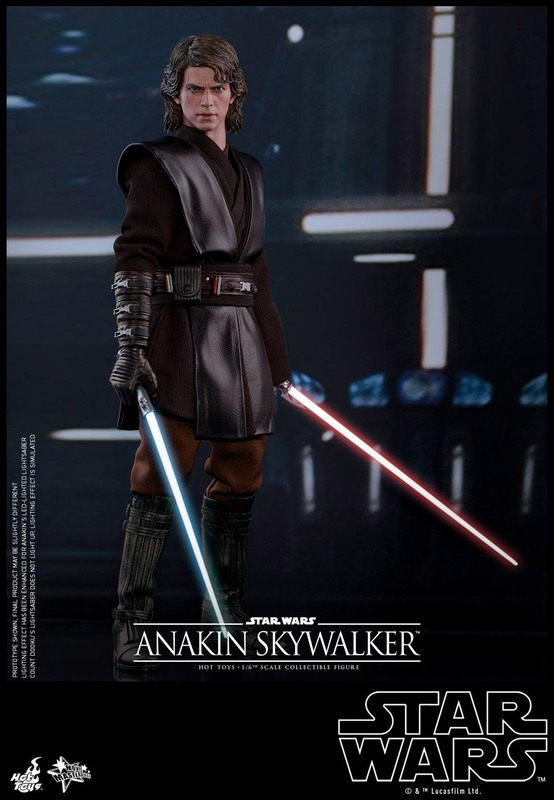 Based on our last glimpse of a (semi-)sane Anakin Skywalker from Star Wars Ep. III: Revenge of the Sith, the figure’s hand-painted head is once again amazingly accurate. 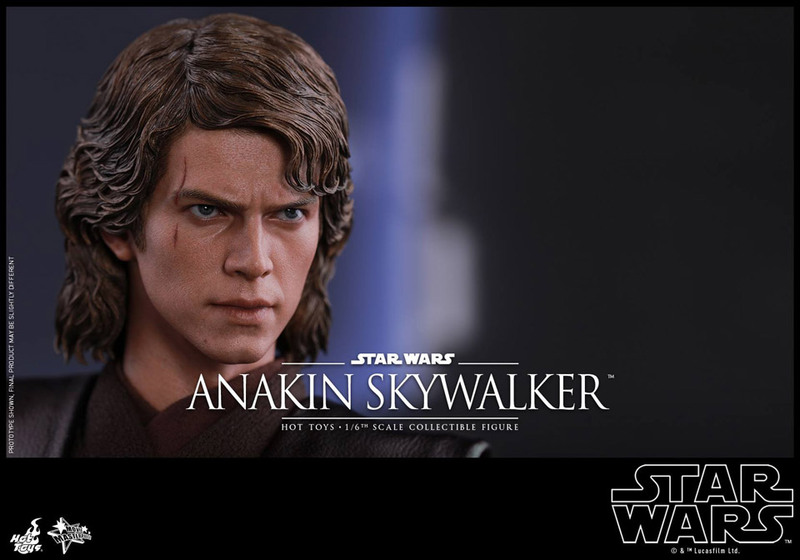 Sure, the hair is obviously a single piece, but look at those eyes. 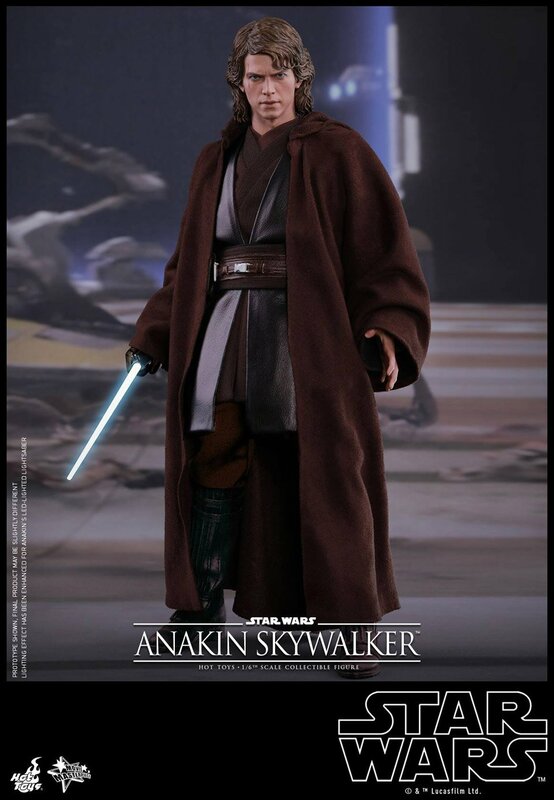 Keep sand and sand people away from this figure. The 12.2″ tall collectible comes with four pairs of hands plus a Mechno right arm. 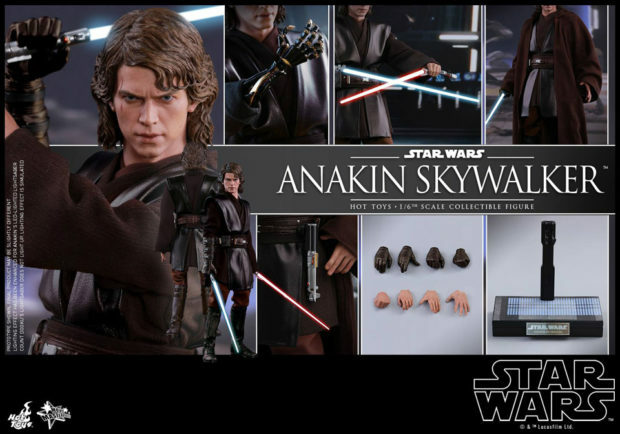 It also comes with a light-up lightsaber and a non-light-up Count Dooku lightsaber. 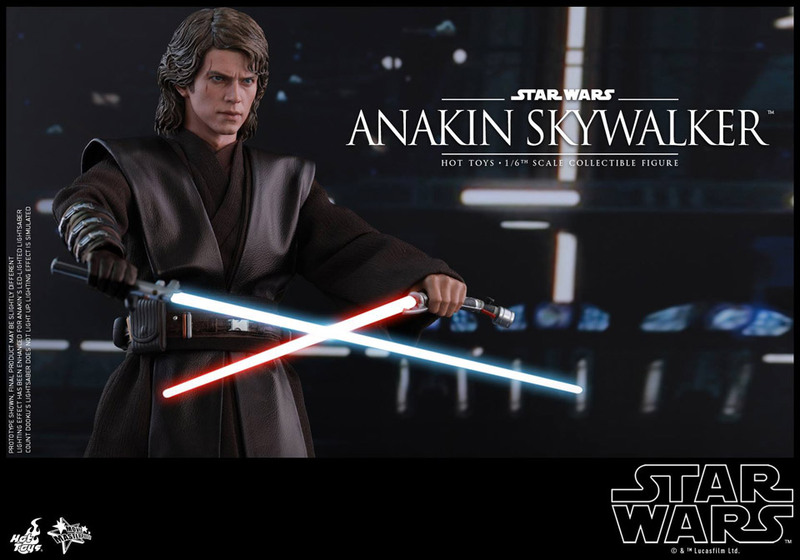 Because obviously the latter’s light-up version will come with the Dooku figure. 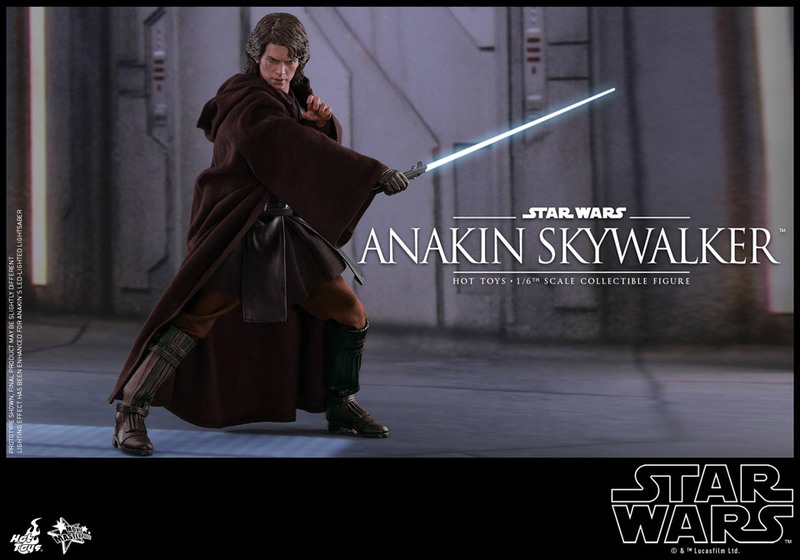 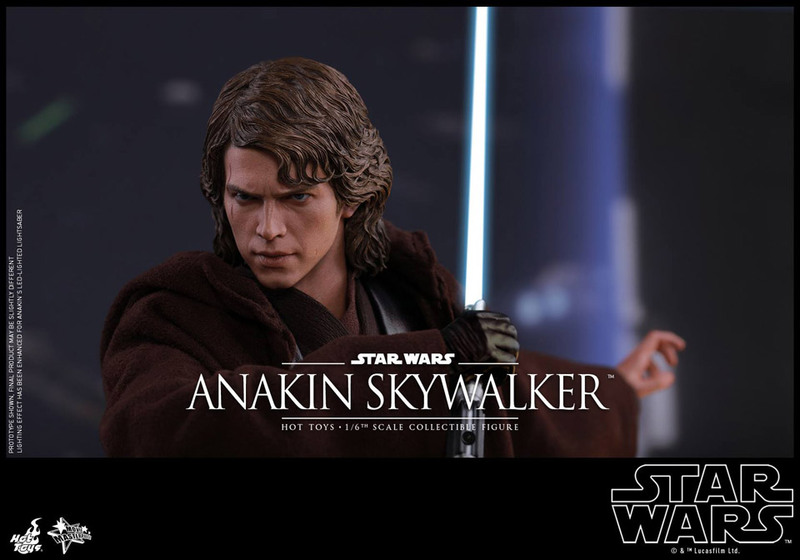 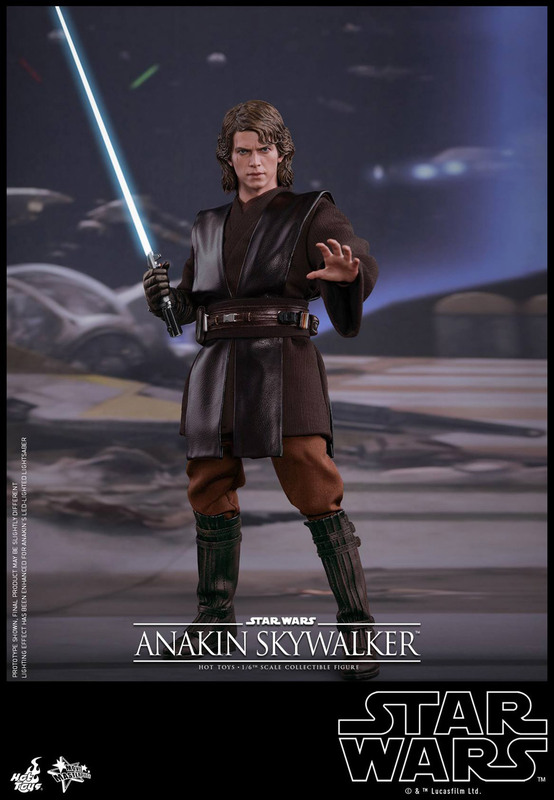 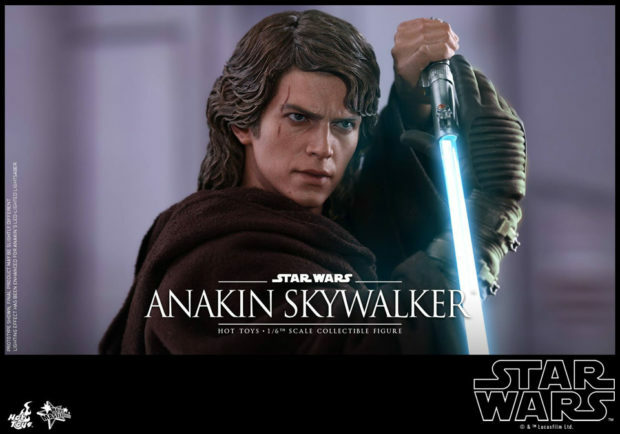 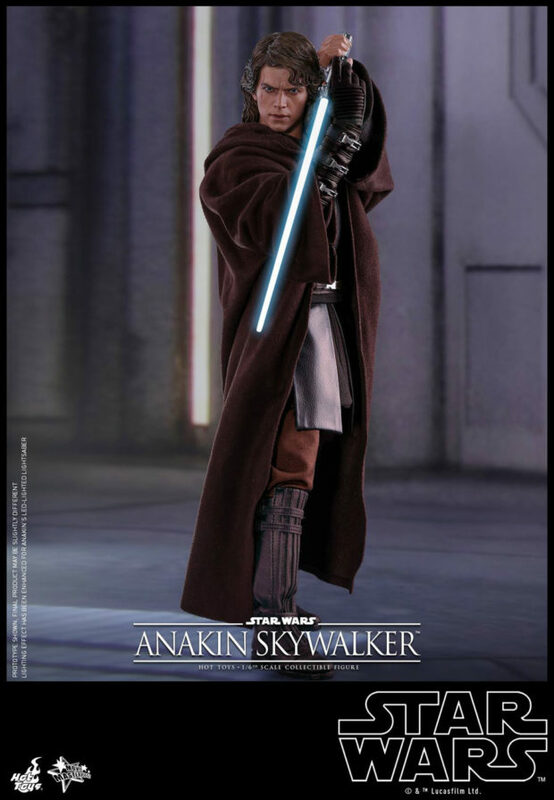 You can pre-order the Anakin Skywalker action figure from Sideshow Collectibles for $235 (USD).